So, you're new to making cakes and you want to know how to cover a cake in fondant. This is the tutorial for you! Why do you cover a cake in fondant? It is partly for keeping it fresh (a cake covered in fondant will last around a week outside the fridge) compared to a day or so if open cake. This is because the fondant keeps the moisture inside the cake. The main reason though is that the fondant is the basis for most cake decoration. It is the most common way to cover a cake and definitely something you should learn how to do. Do you need to use Marzipan? Definitely not. Marzipan is entirely optional and you can skip the stage shown in the video for the marzipan covering. The reason we have included it in this tutorial is that some people prefer to include this on their cakes. 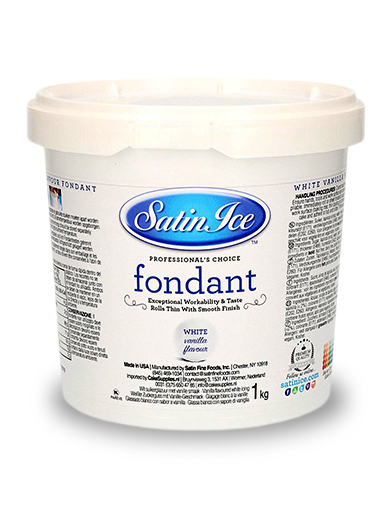 Which brands of fondant are best? I am asked this almost every single day by online members or general inquiries from the public. The answer is that the one that is 'best' for you depends on your own hand heat. Some people have really cold hands so certain fondants work best for them. Others have hot hands so will choose a different type of fondant. It is something you will need to use trial and error with. Try one and see how you get on. If you have recurring problems, try another. Bako Fondant. This is one that I use as does Guest Tutor Rachel Hill. It is not expensive and you can get it delivered to your door weekly (in the UK). It is a dry fondant so works well for people with fairly cool hands. You typically buy in 2.5 kg or 5kg bags. Purchase: You can buy this on Amazon here. Or you can set up a trade account with Bako and arrange weekly delivery. I have always been a big fan of Renshaws. I have cold hands and Renshaws works well for people with cold hands. I also like the fact that it comes in many colours that are pre-coloured. I often add extra colour to the pre-coloured ones but it saves a ton of time having a starting point. You can buy in small packs of 250g right up to big 2.5 kg bags. 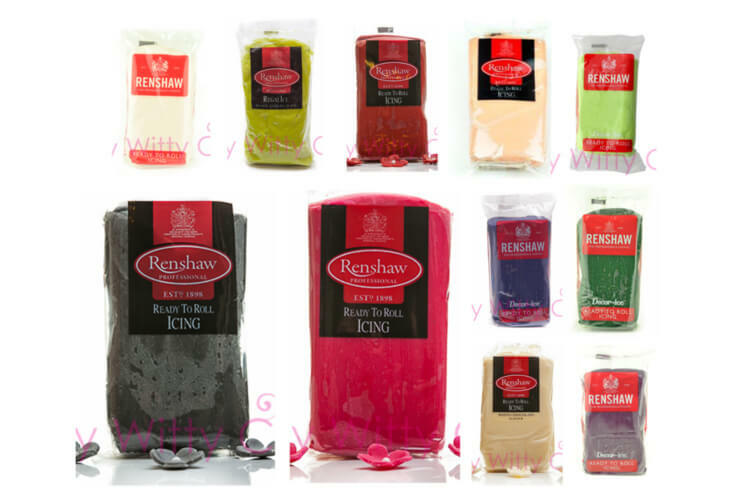 Purchase: Most places sell Renshaws including general craft shops like Hobby Craft. The one you are after is called "Renshaws professional". 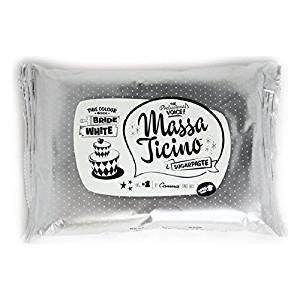 Massa Ticino paste is one of the most expensive brands on the market and considerably more expensive that other brands. But those who use it swear by it as a non tearing and easy to use fondant. The price justification them comes from no second attempts to cover a cake as they rarely have problems with it. If you are a beginner however, you are likely to want to practice so this is probably one to save until you have a bit more experience under your belt as it is so much more expensive to buy. Several of the Pretty Witty Academy tutors use Satin Ice Fondant and swear by it. It comes in tubs and it is a nice firm fondant. I have found this fondant is popular with those with medium warm hands and especially popular with our modelling tutors. So, if you are a modeller and like making fondant people or animals, this is one you might like to try out. The important thing to remember is that no one else can tell you which is "best" because it is a personal decision largely based on your on hand heat. Try the 4 above and see how you get on. Once you find one that works for you, you will stick with it because you will get used to how it works. And at the end of the day, fondant is all about practice makes perfect. Your once bumpy cakes will soon become perfect with practice. If you are new to making cakes, practice on a white dummy cake to start with. Remember to use water on the dummy to help the fondant stick. Working with darker colours like black and navy can be a little harder as the fondant can be slightly softer due to the colour. This is one of the reasons I tend to buy pre-coloured dark colours as colouring them yourself can lead to significant issues with the consistency of the paste. Above all remember that no one covered a perfect cake the first time so keep on practising. I promise you it does get easier!